This is a guest post by Patrick Temple Hickey, author of The Nostradamus Code. Directed by Denis Villeneuve -- A mind-bending, time-warping adaptation of Ted Chiang’s The Story Of Your Life with an emotional impact that transcends genres. All bodes well for Villeneuve’s Blade Runner 2049 to be released in the fall. Can’t wait. Directed by Bong Joon- Ho -- This hard-hitting sci-fi classic could’ve been watered down to make it more appealing to movie goers but Bong Joon-Ho stuck to his guns and the result is an uncompromising vision of a fascinating and bleak future. Directed by Neill Blomkamp -- To make a science fiction movie about aliens genuinely feel like a fly-on-the-wall documentary takes guts and to succeed this well takes a genius. The tragicomic protagonist Wikus van de Merwe is a hero like no other. Directed by Colin Trevorrow -- A quirky romantic comedy with science fiction (or maybe not) elements. A great idea, very funny and brilliantly acted by a cast who underplay the absurd. Also, the scene where the protagonists steal equipment from a lab is roll-on-the-floor hilarious. Directed by Ivan Engler & Ralph Etter -- Excellent special effects and tons of eerie atmosphere set this moody deep space mystery apart from the herd. No roll-on-the-floor hilarious scenes here but there is a twist in the end. Directed by Dan Trachtenberg -- Talk about moody atmosphere. This is tense psychological sci-fi drama with a very satisfying ending. Highly anticipating the next in the Cloverfield series. 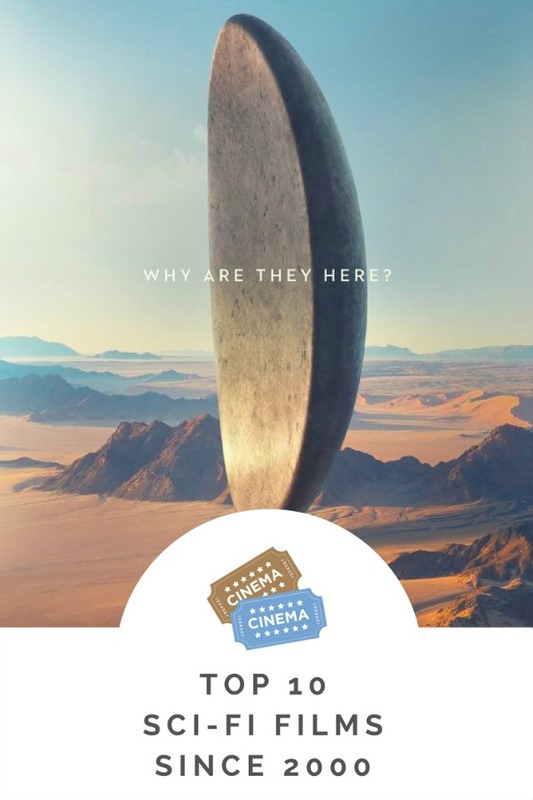 Directed by Spike Jones -- If you like quirky, smart, emotionally engaging sci-fi dramas that respect the intelligence of its audience than Her ticks all of the above boxes. Directed by Rupert Wyatt -- All three of the recent Planet of the Apes movies could take up spots 8, 9 and 10 but I will just go with this one for the list. The right amount of science with the fiction plus a powerful and touching performance from Andy Serkis as Caeser will have you cheering on the apes against your own species. Directed by the Spierig Brothers -- I love the mind-blowing possibilities of a good time travel movie and this movie deftly explores the paradoxes faced by a temporal agent as he travels through time. 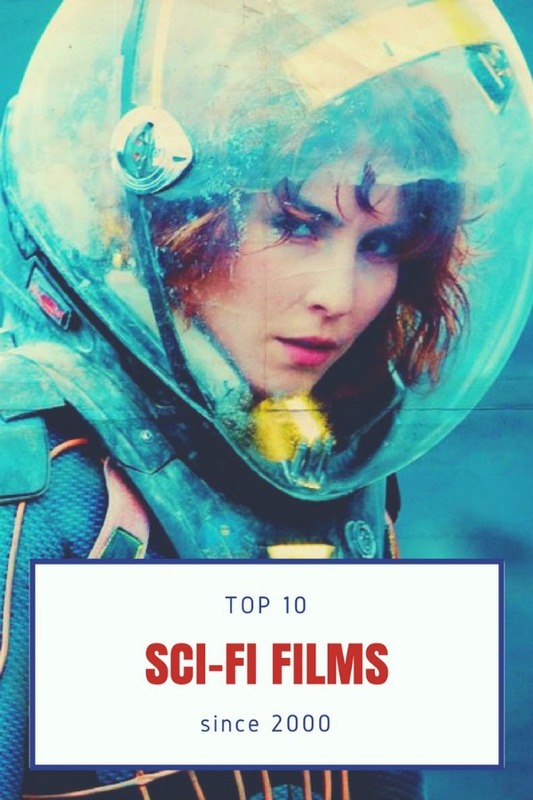 Directed by Ridley Scott – Yes, this is my list so I get to include it. Some people found it plodding and too philosophical but I would’ve been happy to let it plod on and on so long as it would tell us more about the engineers. The sequel, Alien: Covenant, was faster paced and kept closer to the blueprint of the original Alien series but it still left me wanting to know more about the engineers. Maybe the next in the series should be Alien: Engineers. Patrick Temple Hickey has written for TV shows on BBC and Ireland’s RTE. He contributes editorial and single panel cartoons to various newspapers and magazines all over the world and has graphic stories published in independent anthologies such as Slambang, The Shiznit and Don’t Touch Me. 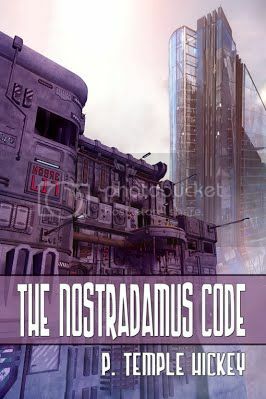 His first YA SCi FI novel, The Nostradamus Code, was published by Double Dragon Publishing in July 2017. On a settlement planet far into the future, the worldwide economic crash has turned New Stockton into a city broken by political corruption and pervasive organized crime. Scotland Murrow’s journalist father has gone missing while investigating a twelve-year-old murder case. The victim was found with an encrypted file, known as the Nostradamus Code, embedded in his thumbnail leading Scotland to believe that the file contains the secret to his father’s fate. Aided by his reformed junkie friend and a journalist who may have her own secret agenda Scotland scours the city’s seedy underbelly, traverses the unchartered outlands and breaches a fortified Citadel as he peels away layer upon layer of the Nostradamus Code to confront his biggest fears and uncover a plot to bring down the most powerful man on the planet. Couple of those I haven't seen. I'd probably include a couple super hero movies, like the first Guardians of the Galaxy. Plus Rogue One. And sorry, I thought Prometheus was one of the worst films I've ever seen. Hopefully Scott redeems himself with the Blade Runner sequel. Right, Rogue One is definitely a strong contender. Maybe I need to re-watch it a few dozen more times like the rest of the list. The Guardians of the Galaxy is also great. We need more comedy sci fi. As you know, I'm right there with you on Prometheus. Seems to be a small club, but I love all of those you listed. I'm really curious about Mute, which is set in the same timeline as Jones' previous film, Moon. Now I'm really looking forward to Mute too. I loved Moon. Check out new guide on writing a creative essay, guys! A smile might signify happiness, joy or love, but it might also signify a triumph of some sort for the person smiling. Everyone knows that a red traffic light means 'STOP'.